08/13/2018 Conversion rates occupy a vital spot in any marketing dashboard, but they’re by no means the end-all and be-all of marketing metrics. Every conversion is the end result of a series of actions that prospects need to complete. It’s these tiny, intermediate steps that ultimately determine whether someone subscribes to your newsletter, downloads your latest whitepaper, signs up for a webinar, or reaches out to a rep at your company. Maximizing conversions means making this process as smooth as possible for your audience. This is why click-through rates (CTRs) is a more meaningful metric to keep an eye on than overall conversion rates. CTRs give a clearer picture on what’s working and what’s wrong with your digital marketing campaigns at each stage of the conversion process. And because clicks tend to be strongly correlated with conversions, increasing CTRs will, in general, also lead to higher conversion rates. One proven way to boost CTRs is to optimize your calls-to-action (CTAs). CTAs influence clicks, which in turn drive conversions. This makes CTAs not only a key factor in maximizing CTRs, but optimizing conversion rates as well. According to Michael Aagaard of Unbounce, CTAs represent the “tipping point between bounce and conversion”. But with so many elements of CTA optimization to focus on (and so many tactics to make it happen), it can be challenging to figure out how to tweak CTAs for better clicks and conversions. 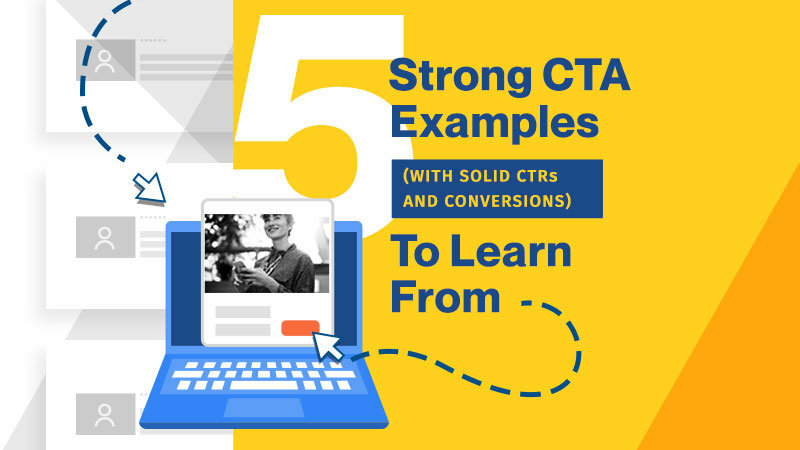 Let’s take a look at some proven ways to do this by dissecting actual examples of CTA changes that led to significant improvements in CTRs for different digital marketing channels. We’ll cover effective CTA strategies for email, social media, paid search, website, and video. On average, a typical B2B email newsletter contains three CTAs. But averages aren’t necessarily the most optimal numbers to follow, especially with email CTA best practices. That’s because real-world results continue to show that the fewer the CTAs, the higher the CTRs. In fact, as one email case study. demonstrates, the optimal number of CTAs might be exactly 1—nothing less, nothing more. 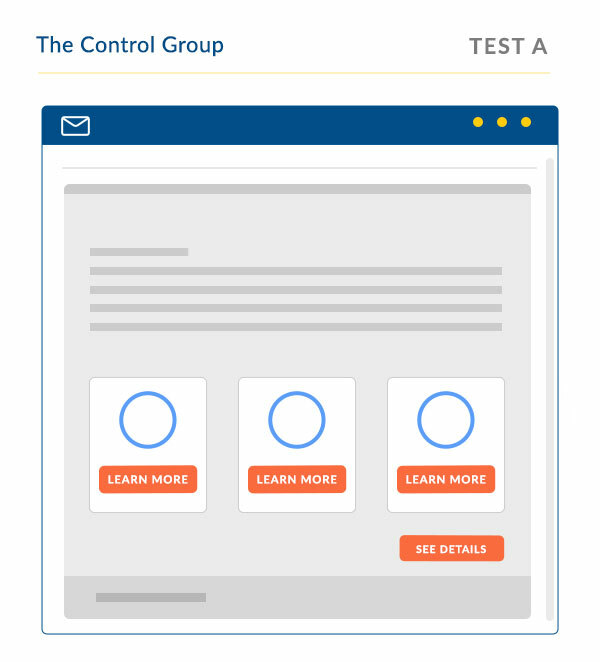 The control group contained a total of four (4) CTA buttons, Consisting of three (3) “Learn more” buttons (each leading to a separate product landing page) at the bottom and a single “See details” button (which pointed to the campaign’s main landing page). The treatment group exactly mirrored the control but included only the “See details” button. The results spoke for themselves. 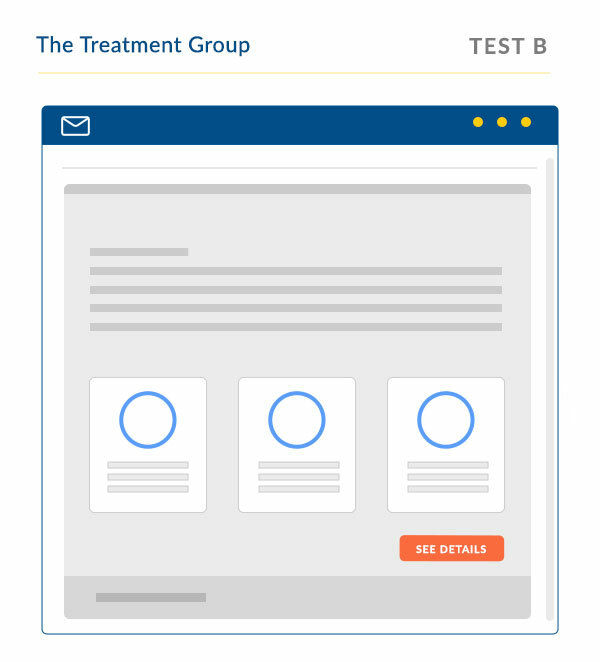 In terms of CTRs, the treatment emails outperformed the control by 42%. This clearly shows that, when it comes to CTAs, less is definitely more. According to Eilsa Gabbert of WordStream, there are four factors that influence a PPC ad’s CTR: a compelling headline, some relevant keywords, an appropriate display URL, and a convincing CTA. Sometimes, something as small as changing a word or two in your CTA will result in a huge boost in CTRs. That’s what Unbounce did with its PPC campaign. The company split-tested two versions of their free trial signup CTA (each with a slightly different phrasing). One version read “Create my account”, while the other said “Create your account.”. The test results showed the CTA that used “my” fetched a 90% higher CTR. AdRoll says adding CTAs to your Facebook page increases CTRs by up to 285%. That’s almost a four-fold increase with just a simple tweak. In his highly-recommended article “What I Learned Spending $3 Million on Facebook Ads”, Noah Kagan of AppSumo and SumoMe credits a key part of his campaign’s stellar results to the right choice of ad CTAs. For the insurance vertical, CTA clicks made up 0.9% of ad clicks, and CTA clicks were more likely to convert than non-CTA clicks. For the tech vertical, CTA clicks represent 11.4% of total ad clicks, and CTA buttons result in higher conversions (though not as high as in other verticals). For the SaaS vertical, CTA clicks comprise 3.3% of ad clicks, and CTA buttons result in a “significant” lift in conversions. Tailor each CTA to your audienceBuffer saw massive improvements in its ad campaign’s engagement and clicks (on a budget of $5 a day) by zooming in on its target audience and making sure the CTA copy resonated with them. Make it clear and distinctBy changing “webinar” to “workshop” in a CTA copy, Facebook ad specialist Angela Ponsford doubled CTRs and leads for a client. Always offer value upfrontSales and marketing analytics platform InsightSquared ran a very effective Facebook ad campaign with a CTA that clearly mentioned what was in it for the target audience: a free eBook from one of the biggest names in SaaS. Most marketers swear by CTAs that leverage free offers like “Sign up. It’s free” or “Get your free guide now”. But as the next example shows, taking a completely different approach sometimes reaps better results than staying on the well-trodden path. Back when Basecamp was still known as 37signals, the company’s co-founder, Jason Fried, wanted to generate more free trial signups from its HighRise CRM homepage. His team tested out many different versions of “free trial” but failed to find the optimal verbiage. It wasn’t until they decided to drop the phrase “free trial” altogether and replaced the CTA copy with “see plans and pricing” that things finally started picking up. Signups eventually increased by as much as 200% as a result of the CTA tweak. CTAs with free offers tend to perform well, but just because something doesn’t cost money doesn’t mean it’s what your prospects are looking for. Prospects and leads want to know exactly what they’re signing up for. Free trials and demos can put off prospects, especially if leads are afraid of committing to something that might be hard to get out of afterwards. Each CTA should nudge prospects toward a tiny step, not a huge leap. Going from homepage to a free trial can feel like a drastic jump for some first-time prospects, while a visit to the pricing page is probably a smoother transition. Speaking of website optimizations, this resource focuses on fifteen (15) proven web design ideas that can help you convert visitors into leads. For KISSmetrics, a CTA within a video fetches 380% more clicks than a CTA in the sidebar. That’s the power of a well-placed CTA. In the example below, we’ll see how you can leverage CTAs the right way in your marketing videos. The Takeaway: Sean Martin of Moz says it best when describing what CRO really does. CRO isn’t about optimizing webpages. It’s about tweaking the small things on your page that influence your prospects’ decisions. That means focusing on things like CTAs and making sure it’s going to be very easy for your visitors and leads to take action. This article originally published at The Savvy marketer [http://bit.ly/2MIRWko]. BUILD your digital presence, ATTRACT the right audience, and ENGAGE potential customers with the help of Callbox’s integrated Digital Marketing Solutions.